1.Where the most easily broken? the motor. Other manufacturers use a steering gear, cannot damp, cannot inside water, Cumulative life only a few dozen hours. 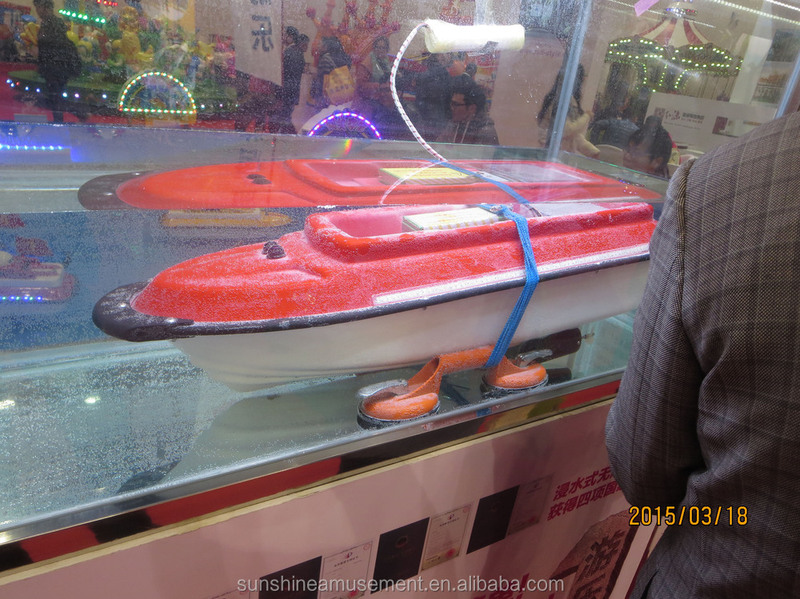 Sunshine Remote Control Boat is powered by the brushless motor /battery with four National Patents, which work in the water long time. Also it looks like a submarine in the water, and immersing inside of water for a month continuously which still working. Five dollars each game, five minutes each time. Different countries with different payment. It is very popular for children and adults, Three days to recover costs, big profit. One boat with two batteris, one battery can be used five hours, It is enough to afford everyday business. Battery is good quality for operating. 4.How many squares of pool? 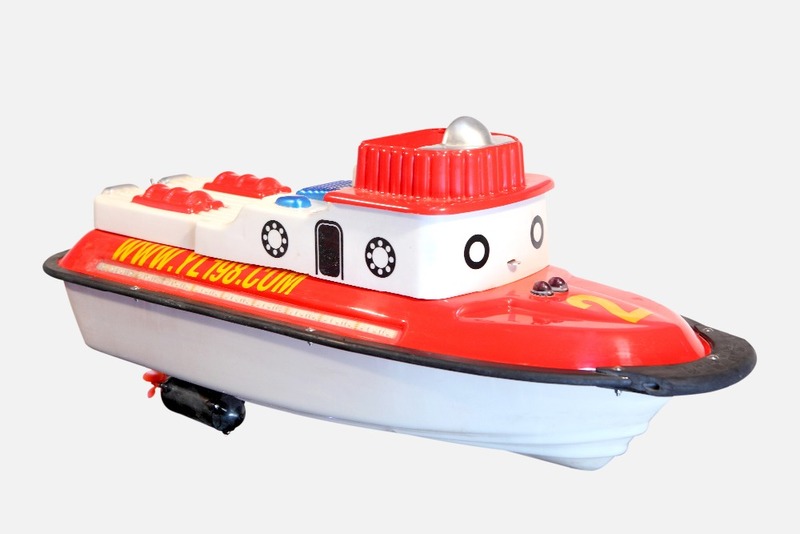 The Remote Control Boat MOQ is 4 pieces. Which need 15-20 Square meters pool. the pool size is based on boat quantity. Also can be customized according to different sites. In accordance with relevant provisions of the manual operation, send video installation. It is so easy. 500 pieces per Month. 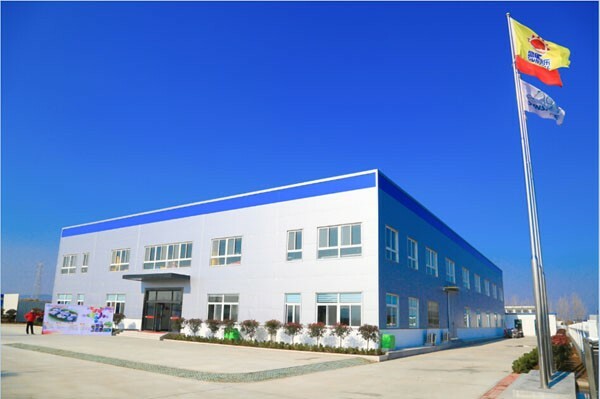 Each workshop is over 30,000 square meters. 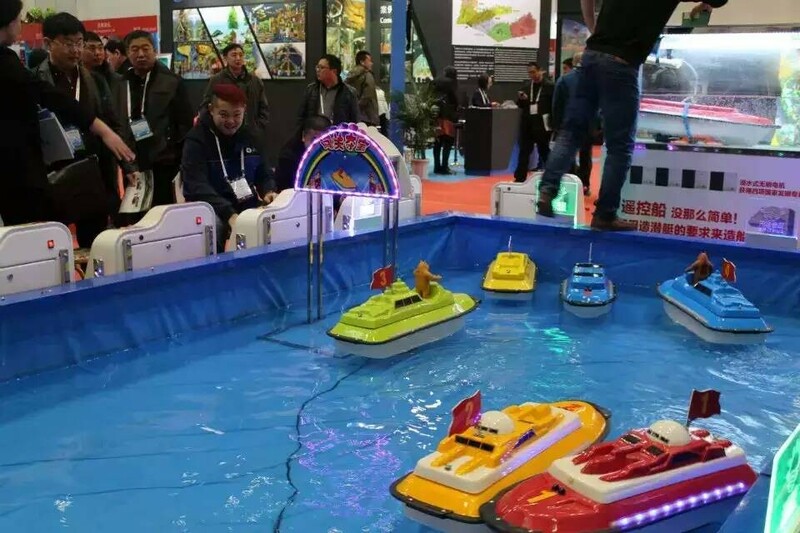 There are more than 40 staffs work for the Remote Control Boat workshop. 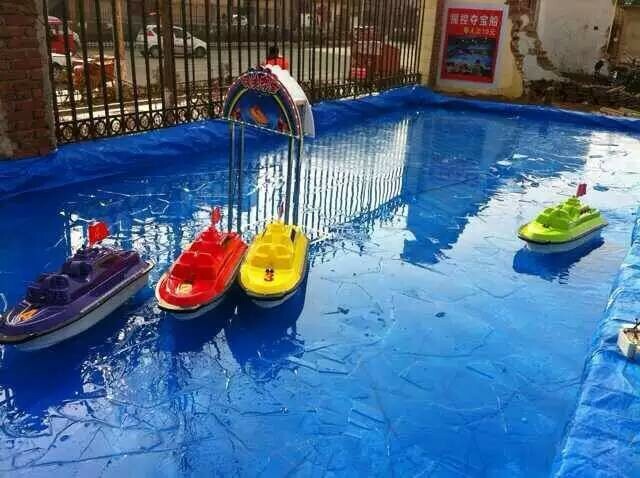 Sunshine will be the largest amusement equipment manufacturers in the North of China. 12 months warranty for free. We will provide the most professional and best service for you. Quality is the best ! Making profit ability of our equipment is the best ! Service is the best ! If there is more questions, don't hesitate to contact with me and I will give you best solution.